Yi made several announcements at NAB Show 2017, but the two most significant were the announcement of the Yi 360 VR, a 5.7K 360 camera, and the Yi Halo, a Google Jump rig. 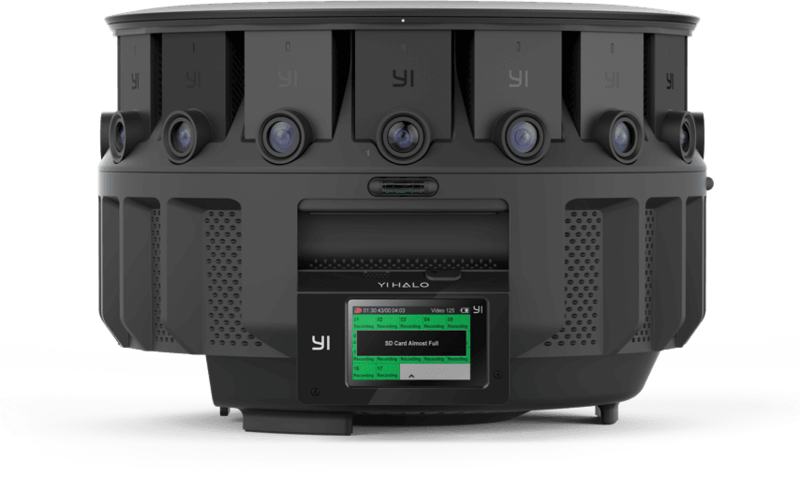 We’ve talked about the Yi 360 VR and showed samples here. In this post, we’ll talk about the Yi Halo. 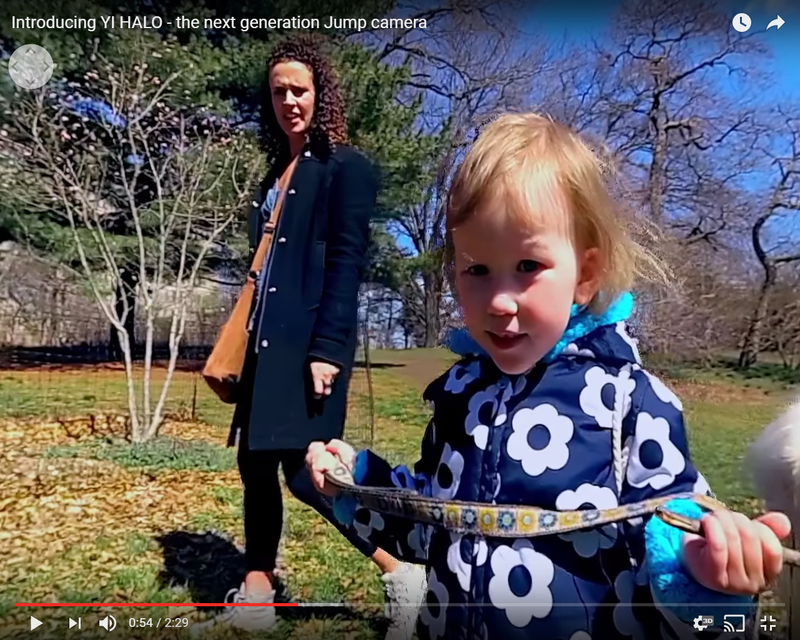 Last year, at the 2016 Google IO conference, Google announced that Yi Technology was creating a version of the Google Jump rig. 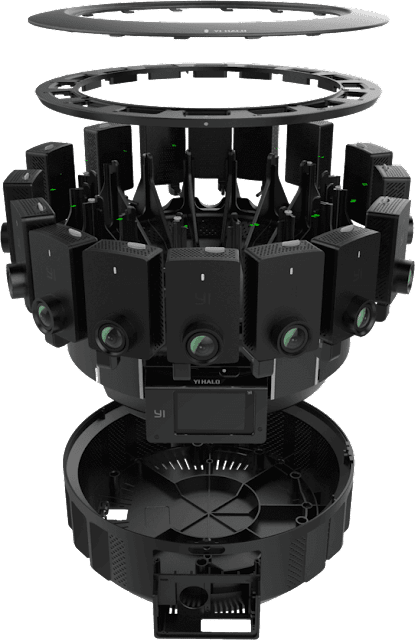 Everyone in the industry assumed that Yi’s Google Jump rig would be a lower-cost version of the first commercial Google Jump rig, the GoPro Odyssey. 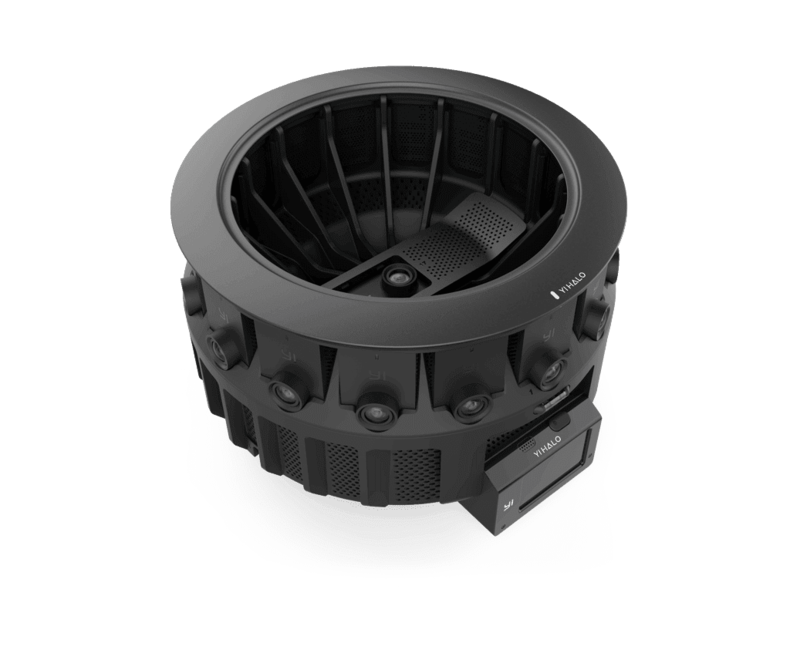 Instead, the Yi Halo offers additional features for the same price as the Odyssey. – video resolution: 8192 x 8192 @ 30fps or 5760 x 5760 @ 60 fps. 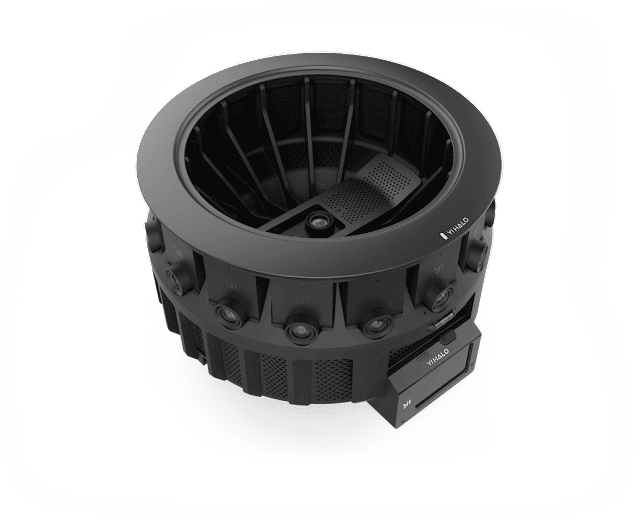 – sixteen Yi 4K cameras plus one up-camera. – realtime monitoring system alerts users to low battery, low memory card storage, or other issues. 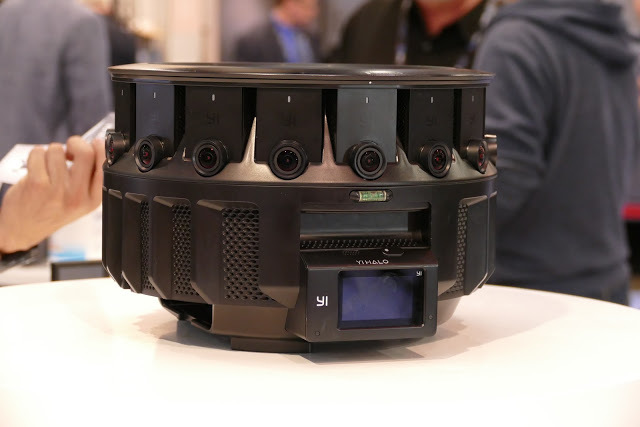 I saw the Yi Halo at NAB and it was more compact than I expected — it’s only 11.2 inches (28.7 cm) in diameter, and the unit weighs only 8 lbs. (3.6 kg), batteries included. The kit fits in a Pelican 1610 case, which comes included. 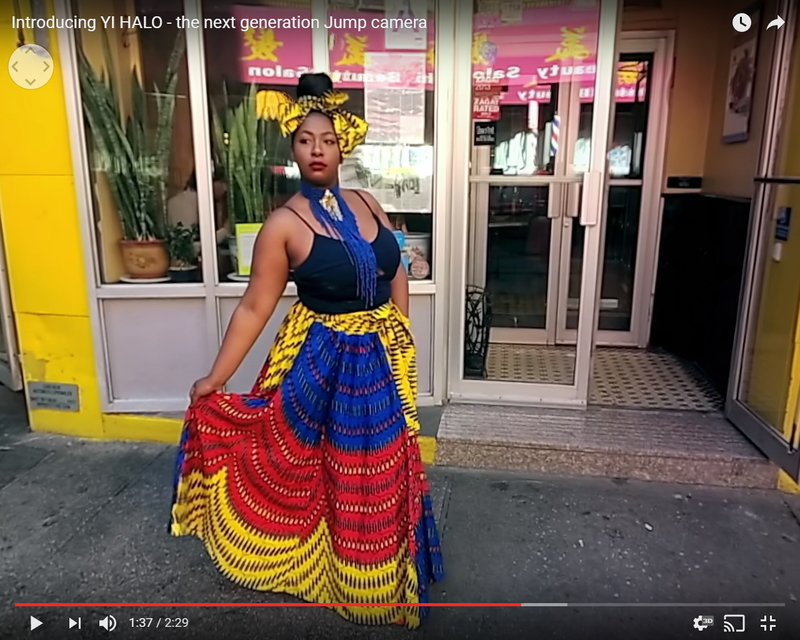 Here is a sample video from the Yi Halo, in 8K 3D 360 (note: the YouTube setting says 8K 60fps, but a Yi representative said it is limited to 30 fps). 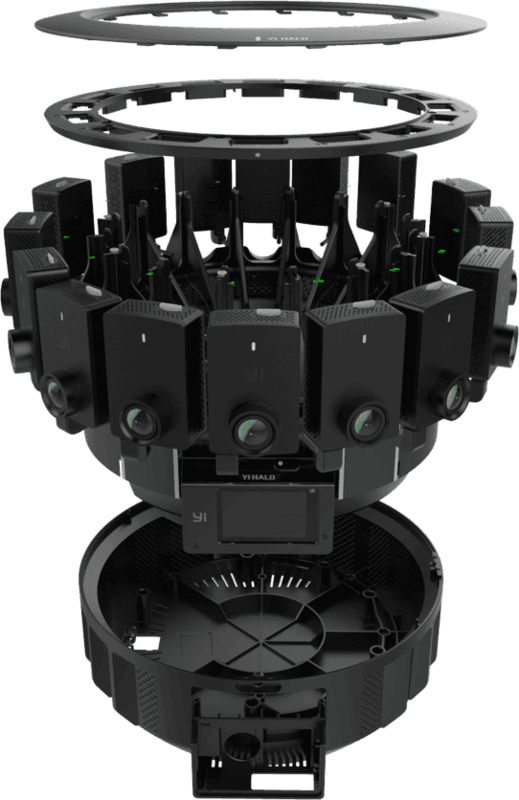 To view it in 3D, you will need Google Cardboard or a VR headset. 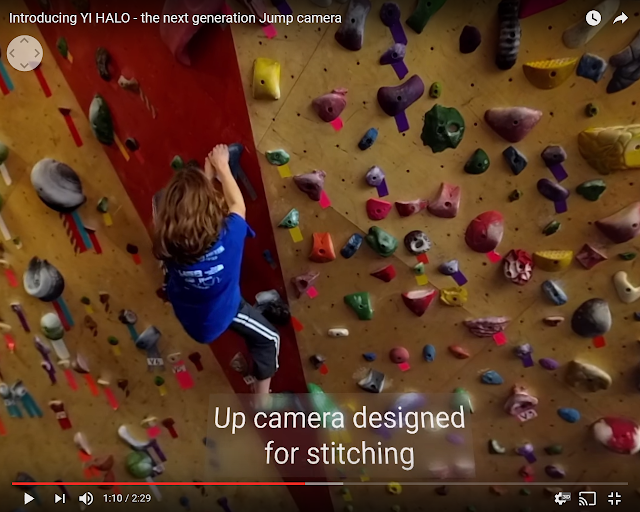 The up-camera ensures a clean stitch even when looking directly upward. The Yi Halo is fully compatible with the Google Jump assembler, which can stitch videos seamlessly even at very close distances. 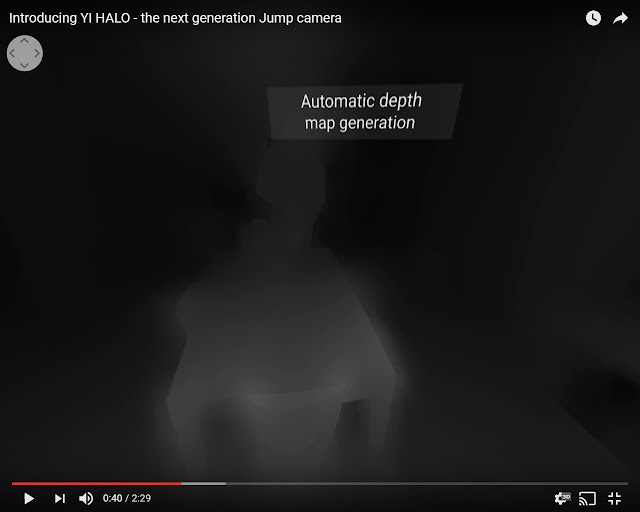 The Halo can also generate a depth map automatically. The Yi Halo will be available late summer 2017. Here is the official webpage.